Sunday, August 27, 2017 by: Isabelle Z. (Natural News) Early-stage trials have shown that high doses of vitamin C can help to fight blood cancer. While the cancer-fighting ability of this vitamin has long been known, the study shed some new light on its effects on leukemia. Researchers at the Perlmutter Cancer Center carried out a study using mice who had been engineered to be deficient in the TET2 enzyme, which is believed to protect against blood cancer and heart disease. They found that injecting high doses of vitamin C could stop leukemia cancer stem cells that had been implanted from humans into the mice from growing. Essentially, the researchers think that the vitamin tells faulty stem cells found in our bone marrow to die. In addition, they discovered that combining the vitamin with a type of drug known as a PARP inhibitor boosted its effects. 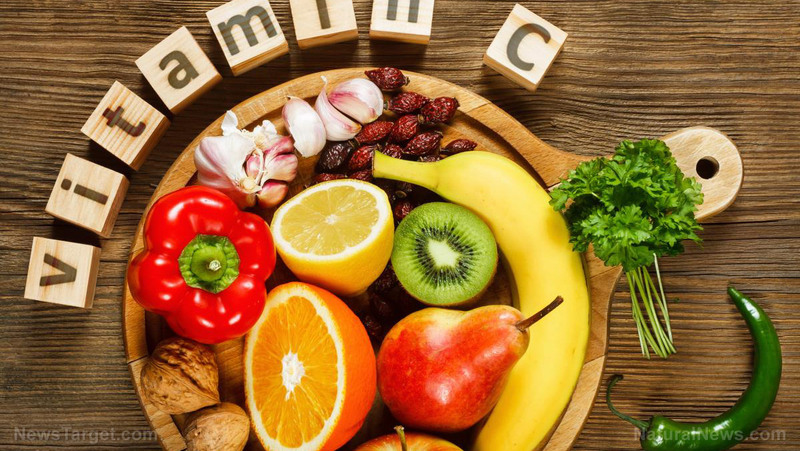 The study was published in the journal Cell, and the researchers suggest that vitamin C could be used to treat these types of cancer in conjunction with conventional treatments like chemotherapy in the future. They believe it could be particularly useful for patients who are not strong enough to undergo aggressive chemotherapy due to advanced age. It has been more than four decades since Nobel laureate Linus Pauling first demonstrated the effectiveness of a high dose of vitamin C– 10,000 mg daily – in reversing cancer. Many studies have since shown that it can indeed help patients with many types of cancer. For example, it has been shown to reduce inflammation as well as tumor markers in patients with breast cancer and prostate cancer. In one study, 76 percent of cancer patients noted reduced inflammation levels after Vitamin C treatments, with the average patient’s CRP levels dropping by 80 percent. Those who had been given more IV vitamin C treatments noted better results. In another study, adding IV vitamin C to common chemotherapy drugs for pancreatic cancer patients extended their average survival time from 5.65 months to 12 months. This is extremely promising given the dramatic 80 percent mortality rate in the first year of diagnosis of this type of cancer. In a study published in Oncotarget, scientists from the University of Salford found that vitamin C worked an impressive ten times better than a Big Pharma cancer drug at interfering in the metabolism of cancer stem cells. So why do we hear about cancer patients getting chemotherapy, radiation, surgery and more drugs instead of vitamin C? The money-making machine of Big Pharma wants everyone to believe that the options that rake in the most money for them are their only choices. Vitamin C is cheap and cannot be patented, which means there is no financial motivation for cancer clinics to promote it over the highly profitable route of chemotherapy. In addition, they’ve done their best to make people believe alternative therapies like vitamin C are risky. They try to position it as being unsafe, despite the fact that Vitamin C has been shown to leave healthy cells alone, even at high concentrations, unlike conventional chemotherapy drugs. Many alternative cancer clinics around the world are already successfully using it to help cancer patients extend their lives and even eradicate their cancer, illustrating time and time again how effective it can be as a tool for fighting this devastating illness. Keep in mind that while increasing your intake of vitamin C-rich foods like oranges, peppers, kiwis and kale can be beneficial for your health, far higher doses are needed to get the anticancer effects.